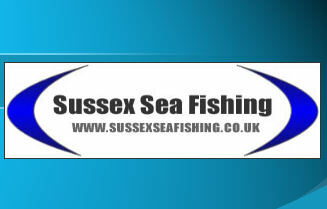 This page is designed to list all the top local Charter Boats in the Sussex area. If you want to add your details or know of a top charter boat then forward the details to craigide@hotmail.co.uk and i will add the details to the site. Locations go in A-Z order. Brighton Diver 2 is a 33ft Blyth catamaran which is 10m long and 5m wide for extra stability and maximum fishing space, built to D.O.T specification and conforming to Marine Safety Agency requirements to carry 12 passengers. Powered by 2 x 350 hp Iveco turbo charged diesels fitted in 2008, giving a cruising speed of 17 knots with a top speed of 25 knots. Electronic aids aboard include 2 echo sounders, differential GPS, plotter, two VHF radios, radar and autopilot. A comprehensive First Aid Kit and an Oxygen Therapy Unit is always ready for emergency use. Whilst on the boat, 3rd party insurance to £2m is covered. The boat has a enormous deck which will Take 12 anglers or Divers with plenty of space seating is provided for passengers. A galley is equipped with a fridge, microwave cooker for pies, etc, and gas for hot drinks. 240volts ac is available for battery charging or pc's. 'Kingfisher is a 33ft Starfish fitted with a 350HP Ford Sabre turbo engine. Her design gives a comfortable ride and speeds of up to 18 knots. Being sea kindly she rides well both at anchor and whilst drifting over the wrecks. She is equipped with all the latest electronics equipment and is licensed and insured to carry 12 anglers'. "One of the most successful boats on the south coast"